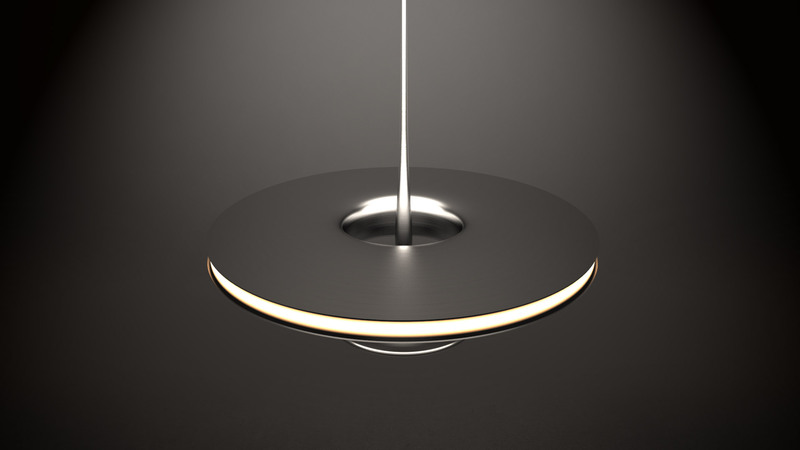 This purely conceptual lamp is the result of this week’s design study of about four hours. 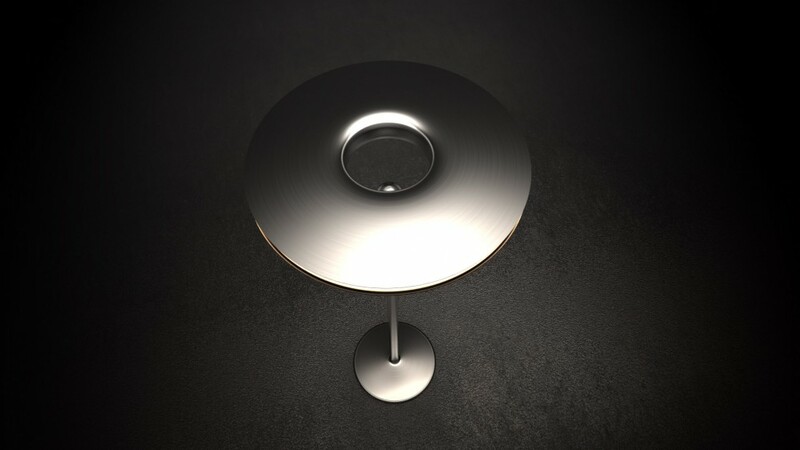 The lamp portion uses electromagnetic levitation to float above the base, creating an impossible looking design. 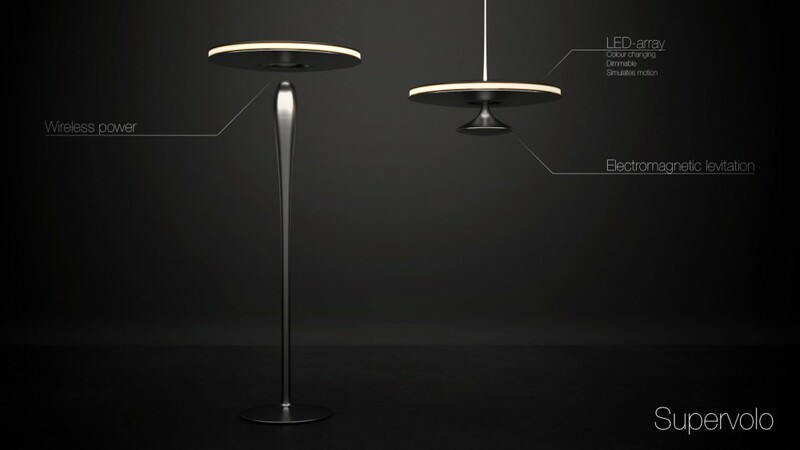 The lamp is powered using (currently not yet existing) wireless and contact-less electricity. 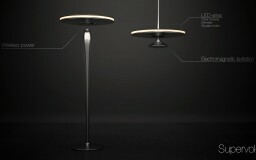 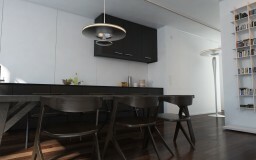 Lighting is provided by an array of RGB LEDs allowing the user to change the color or intensity of the lamp. 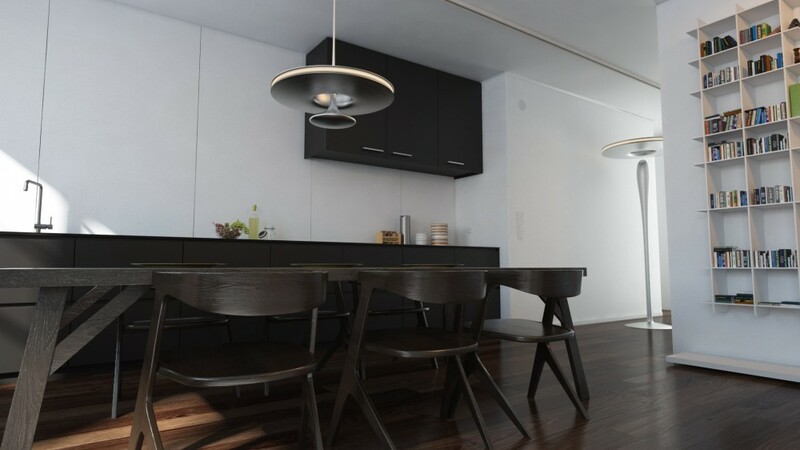 This array also makes it possible to create simple animations which would make it look like the light is moving.